John Galliano is a British fashion designer who was head designer of French haute couture houses Givenchy (July 1995 to October 1996) and Christian Dior (October 1996 to March 2011). He was born in Gibraltar to a Gibraltarian father, Juan, and a Spanish mother, Anita, and has two sisters Galliano's father was a plumber. His family moved to England in pursuit of work when Galliano was six, and settled in Streatham, South London, before moving to Dulwich and later to Brockley. He was raised in a strict Roman Catholic family. Galliano who was shy and different often spoke of his struggle to fit in, recalling his early days, he once admitted: "I don't think people here understood where I was coming from." Anita, a flamenco teacher, would dress him in his "smartest" outfit even for a trip to the local shops. This, combined with his creative sensibilities, saw him frequently bullied at his London boys grammar school. He attended St. Anthony's RC School and Wilson's Grammar School in London and then Central Saint Martins College of Art and Design, from which he graduated in 1984 with a first class honours degree in fashion design. His first collection, inspired by the French Revolution and entitled Les Incroyables, received positive reviews and was bought in its entirety by and sold in the London fashion boutique Browns. 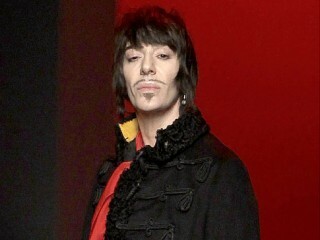 Galliano began his own label and met future collaborators Amanda Harlech, at that time stylist with Harpers and Queen, and Stephen Jones, a milliner. On the back of his overnight success, Galliano set up a studio in London, but his talent was not matched by a head for business, moreover, he would take his enjoyment of London's nightlife to extremes. Galliano was awarded British Designer of the Year in 1987, 1994 and 1995. In 1997, he shared the award with Alexander McQueen, his successor at Givenchy. He was awarded the CBE (Commander of the Order of the British Empire) in the 2001 Queen's Birthday Honours List for his services to the Fashion Industry as a Fashion Designer. He received his CBE on 27 November 2001 at Buckingham Palace in London, England. He was awarded the RDI in 2002 for his contribution to the fashion industry. He has appeared on The Independent on Sunday's 2007 "pink list" for being one of "the most influential gay people in Britain." In 2009, Galliano received the French Legion of Honour, previously awarded to such fashion luminaries as Yves Saint Laurent, Azzedine Alaïa and Suzy Menkes, to name a few. View the full website biography of John Galliano.